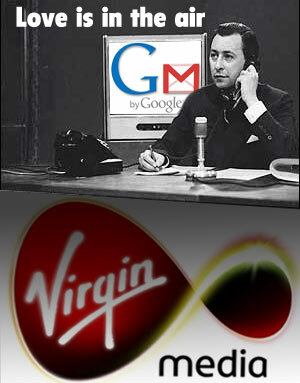 Virgin say that all of the Google Gmail goodness – including easy message searches, Google chat, threaded messages, mobile management and virus and spam control – will be made available to Virgin punters. The technology will come courtesy of Google Partner Edition Apps, which allows companies to use Google’s services under their own domain name. Customers currently mailing under old-school domains like @blueyonder.co.uk, @ntlworld.com or @virgin.net email address will be given the choice of sticking to their domain or choosing a snappy new @virginmedia.com email address. 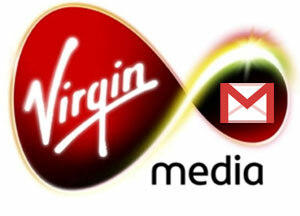 Whichever email addy they plump for, all will eventually get to enjoy the Google experience, with up to 10 @virginmedia.com addresses allowed per user. Google Partner Edition Apps also lets businesses include services like Google Calendar, Docs and Talk, and it looks like Virgin Media will be grabbing some of that in the future. I like the new service , I think with this vergin will be good soon!